Tracey Ellen Thompson Carter passed away in her sleep from pneumonia on February 18, 2019. 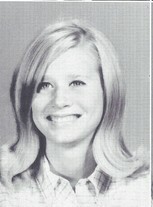 She graduated from Alamo Heights High School in 1969, and worked as a trainer for Photomat for two years. 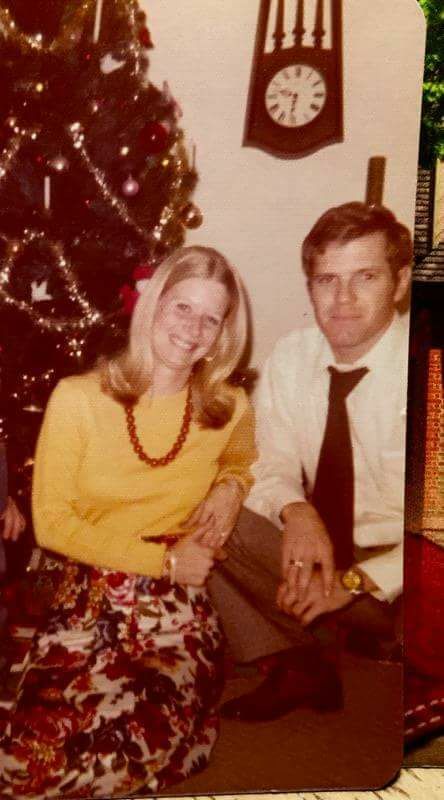 After this, Tracey attended the Hostesses Class of Southwest Airlines and became a flight attendant for them during their early years of operation in the 1970's (3 planes and 30 girls)! She married Charles Miles Carter, an Air Force pilot and the love of her life, on May 29, 1974. A son, Christopher Miles Carter, was born to them on June 4, 1977. Seven weeks later, her husband was killed in a plane crash, and Tracey moved home to San Antonio. She continued her education while attending Texas Tech and San Antonio College, and received a degree in abnormal psychology and early childhood education. Tracey was generous toward others, especially with those in need of support through trying times, and her home always felt welcoming to all. Her love of animals and the outdoors also came together as she began walking the trails of the Salado Greenway. Tracey was preceded in death by her husband, Charles Miles Carter, and her sister, Martha Louise Thompson. She is survived by her son, Christopher Miles Carter, brother, Phillip McDonald, sister and brother-in-law Teresa and Curtis Carter, nephew Evan Carter and his wife Cortney, and a wealth of friends and those she helped along the way. Services in Tracey's memory were held at Second Memorial on Monday, February 25, 2019. I will always remember Tracey for her long blonde hair and her wonderful smile. It is sad to lose another thread from the fabric of AHHS 1969. My condolences to Tracey's son and her family. Marty and I were so sad to hear about Tracey. We drive by the corner where her house was located almost every week. I was friends with Tracey and remember that she had a tremendous personality. I was not best friends so don't remember much about our high school days. I believe that she was married to a Blue Angel and that he died leaving her with a young son. Correct me if I am wrong. I would love to know more about her adult life. Please give her family our condolences. How sad it is to hear of Tracey's passing. It startles every time another leaves us. There are so many classmates that I didn't know well, didn't share the same classes or circles of friends, yet it's so poignant to hear that another one of us has gone! These slivers of time we have are fleeting, and seem to slip away more quickly as the years go by. My sympathies & prayers to Tracey's family, in their grief for this loss. May they find joy in remembering her. To each of us, her classmates, as we dwell for a little while on this latest loss to our ranks, my thoughts and hope goes out, that individually we might feel at peace, remember each other with joy, and collectively we might reach out wherever we can to connect the threads that remain. Tracey and I were childhood friends, and I remember that even back then, the room would light up when she would enter. We often walked to and from school together, meeting halfway between my house and hers, and then the same as we walked home. Although a year older, she was a constant for me in my elementary years, and I looked up to her as someone who was a model of the kind of person to which I wanted to aspire. Tracey was a greatly giving and compassionate person, as well as one who had much empathy for others. Her passing is not only a loss to her family and friends, but it is a loss to her community as well. Rest, sweet Tracey, and know that the love that we all hold for you will never end because love has no end. It is infinite. Click here to see Tracey's last Profile entry.